Back to the Roots is a fantastic back to school item. What? For homeschool teachers we are always looking for fun, exciting experiments to share with our children. Or what about those hours after school where you want to do a fun learning event with your kids? Have a Back to the Roots kit for your own home science and cooking experiment! 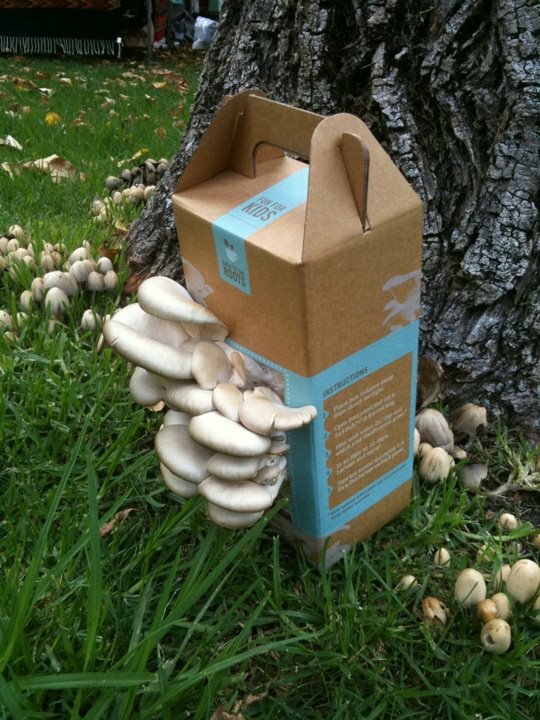 You can grow up to 1.5 lbs of oyster mushroom with this box! Even if your children don't care for mushrooms, it is fun to watch them grow in front of your eyes. No green thumb necessary. A fun activity for the whole family. In as little as 10 days you can see the result of your efforts. 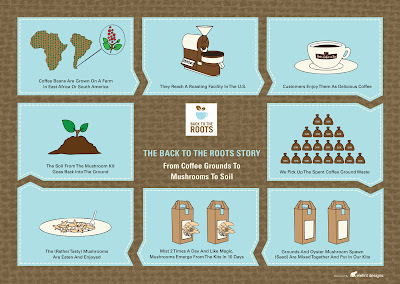 "Back to the Roots was founded by Alejandro Velez & Nikhil Arora during their last semester at UC Berkeley in 2009. Two months away from graduation, and heading into the corporate world of investment banking & consulting, they came across the idea during a class lecture of being able to potentially grow gourmet mushrooms entirely on recycled coffee grounds. Inspired by the idea of turning waste into wages & fresh, local food, they experimented in Alex's fraternity kitchen, ultimately growing one test bucket of tasty oyster mushrooms on recycled coffee grounds. With that one bucket, some initial interest from Whole Foods & Chez Panisse and a $5,000 grant from the UC Berkeley Chancellor for social innovation, they decided to forget the corporate route, and instead, become full-time urban mushroom farmers! Inspired by the idea of producing local, fresh food from what was an urban waste stream, Back to the Roots has since grown to create the Grow-Your-Own Mushroom Garden which lets anyone, across the country, grow their own gourmet mushrooms at home as well!" I just love mushrooms and can eat them on anything! Back to the Roots is giving a Mushroom Kit to one of my readers in the Back to School Green Giveaway!! I received a product to facilitate my honest review.